Porsche fans – and there are certainly plenty of them out there, even in here on the Autoblog editorial staff – can be pretty emphatic about their enthusiasm, insisting that the 911 is the very definition of the sportscar. And for some, merely admiring one from afar or even leaving theirs parked outside isn't enough. For just such enthusiats, Porsche Design has expanded its Driver's Selection with some tantalizing additions for the home and office. First up is a desk chair made from the bucket seat in a 911 Carrera, which we have to admit we'd rather be sitting in right now over this blasted, rather unexciting ergonomic office chair. It's covered in black leather (the same you'd find inside an actual 911) embossed with the Porsche emblem and features electronic backrest adjustment. 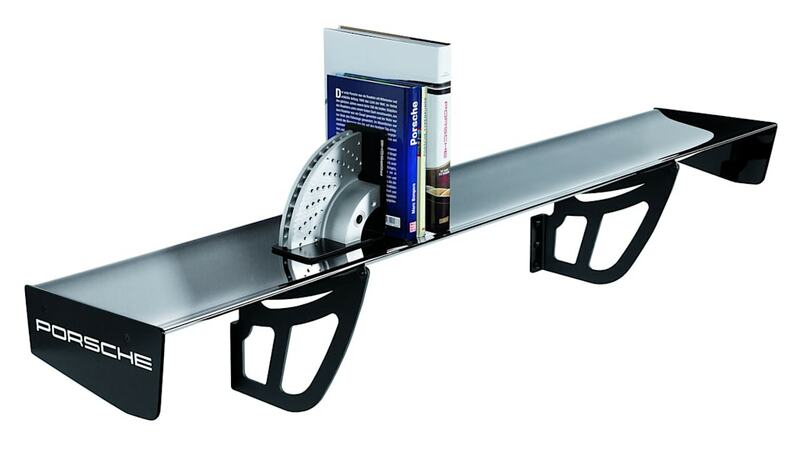 There's also a wall shelf made from the carbon-fiber rear spoiler a 911 GT3 Cup racecar that can support up to 264 pounds of downforce in the form of books, trinkets and whathaveyou. 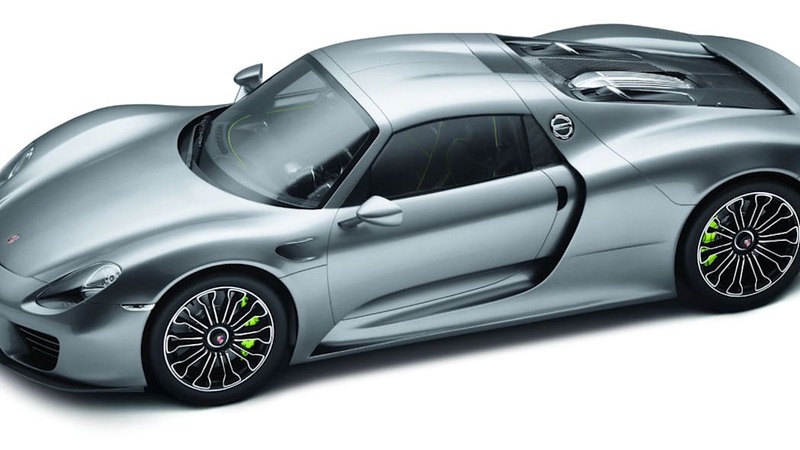 And there's a limited-edition resin model of the 918 Spyder in 1:8 scale. The items haven't hit the Porsche shop just yet, so we don't have pricing information, but if they tickle your fancy, the online store has plenty more to offer. Atlanta. Porsche Driver's Selection, the automaker's line of lifestyle apparel and accessories, introduced unique home and office items last week at the International Motor Show (IAA) in Frankfurt. The new collection includes items crafted exclusively from original Porsche parts, including an office chair made from a 911 Carrera sport seat and a wall shelf constructed from the rear spoiler of a 911 GT3 Cup Race car. Built to the same specifications and upholstered with the same premium black leather as the sport seat found in various 911 models, the office chair provides familiar comfort long after the drive to work. 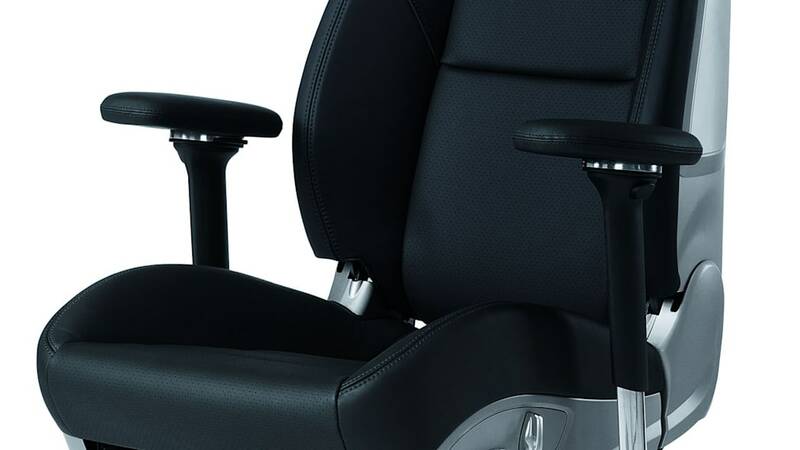 It also features an electronic backrest adjustment and an embossed Porsche emblem in the headrest. The shelving unit, made out of carbon-fiber material, is repurposed from an original Porsche 911 GT3 Cup car rear spoiler and can support up to 264 pounds. Also featured in the updated Porsche Driver's Selection collection is a 1:8 scale resin model of the Porsche 918 Spyder which will be produced in a limited quantity of 918 pieces. These and other products from the Porsche Driver's Selection line are available at authorized Porsche Dealerships across the United States and online at shop.porsche.com. Porsche Cars North America, Inc. (PCNA), based in Atlanta, Ga. is the exclusive U.S. importer of Porsche sports cars, the Cayenne SUV and Panamera sports sedan. Established in 1984, it is a wholly-owned subsidiary of Porsche AG, which is headquartered in Stuttgart, Germany, and employs approximately 220 people who provide parts, service, marketing and training for 189 dealers. They, in turn, work to provide Porsche customers with a best-in-class experience that is in keeping with the brand's 63-year history and leadership in the advancement of vehicle performance, safety and efficiency.